Sister to The Royal China in Queensway, the Baker Street branch is a touch larger, seating 200 at a time, yet has the identical black and gold lacquer decoration. The lengthy menu is the same too, though the actual ability to cook the dishes varies between the two branches. 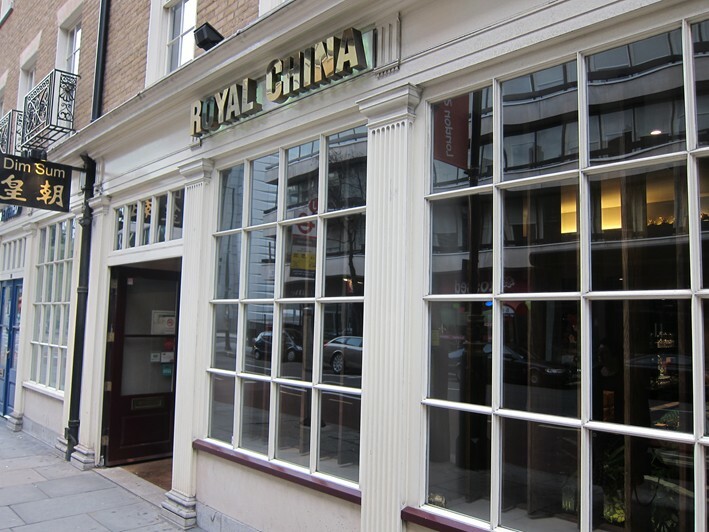 This branch is just down the road from Royal China Club, at 44 Baker Street, a somewhat posher take on the same food but with higher prices. 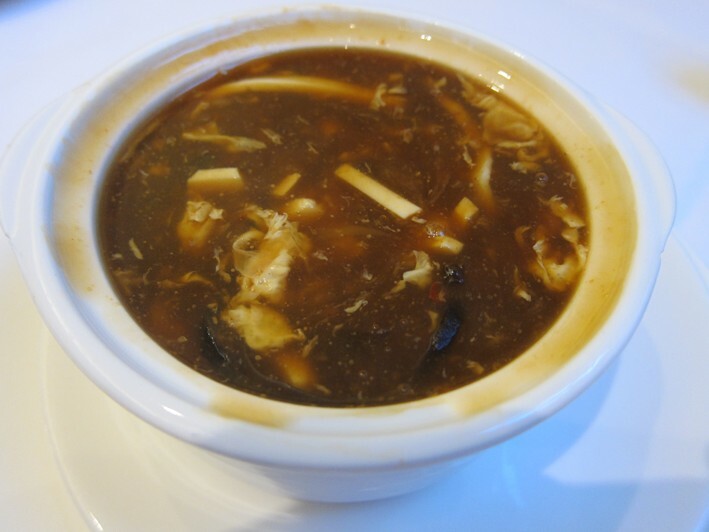 Hot and sour soup here was poorer than the W2 version, a touch less spicy and the stock a little thinner (12/20). Szechuan prawns were much the same, carefully cooked with a slightly sweet chilli sauce (14/20). 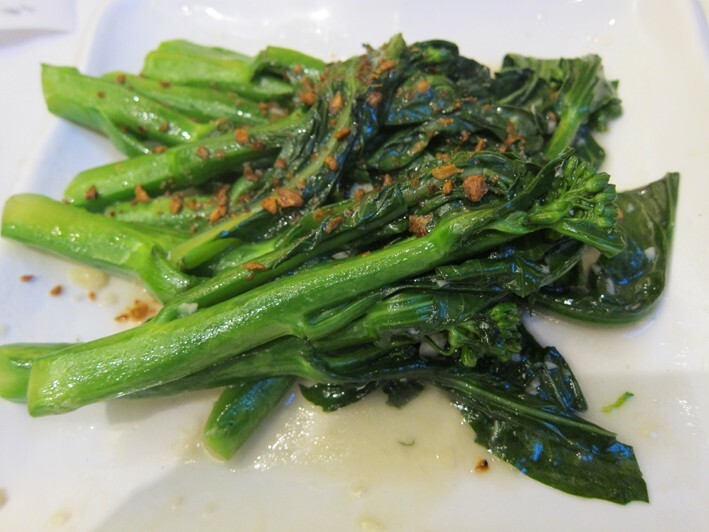 Gai lan, though, was a notch lower in standard than at the Queensway branch, the broccoli a little undercooked and with less garlic flavuor, though still very good (14/20). 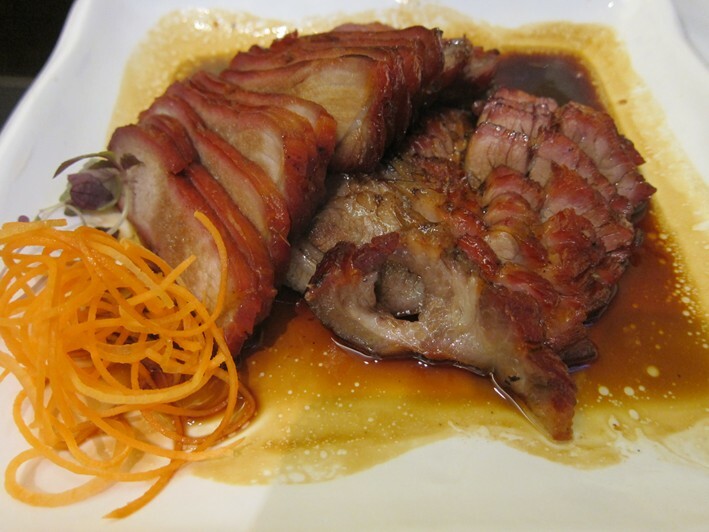 Honey-roast pork was pleasant, a generous portion of thinly sliced pork in a rich, slightly sweet sauce (13/20). The egg-fried rice was a notch below the standard it should have been, the rice a little too firm and not as fragrant as that at its sister restaurant (12/20). One area where Baker Street outshines Queensway is in the service, which was efficient and quite friendly. At the Queensway Royal China a beer order can arrive in moments or not at all, but usually takes some time – here an extra beer was swiftly brought to the table. The bill came to £34 a head, which was fair given the generally good quality of what arrived on the plate. I felt that, overall, the Queensway branch had a slight edge on the food, the Baker Street one by contrast won on the service. Both are very good restaurants.